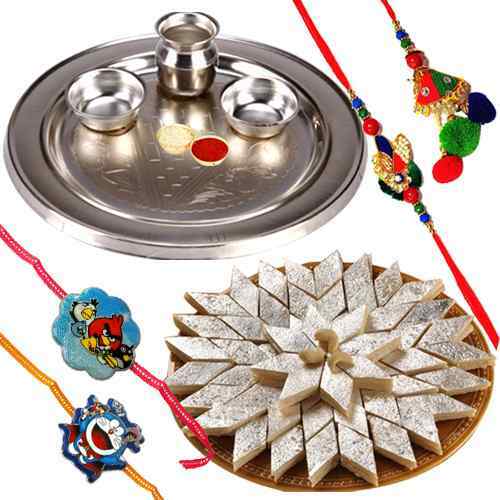 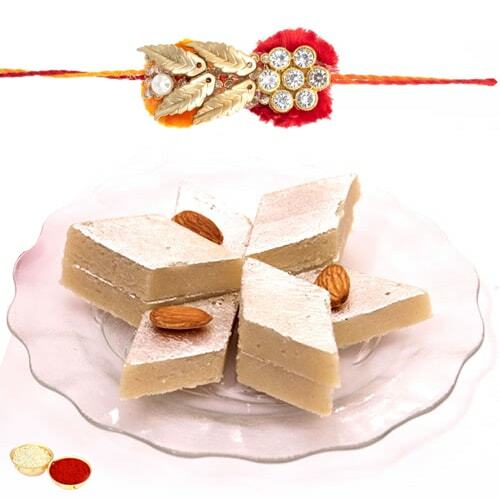 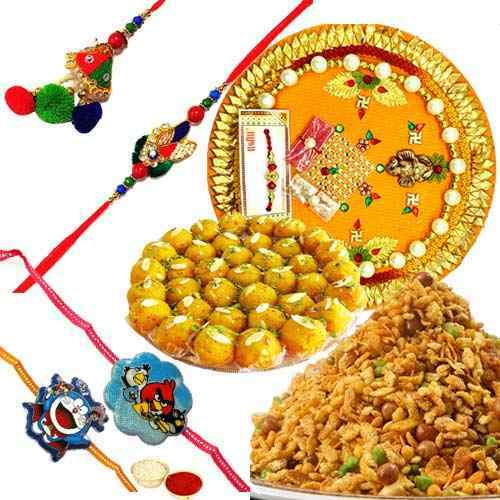 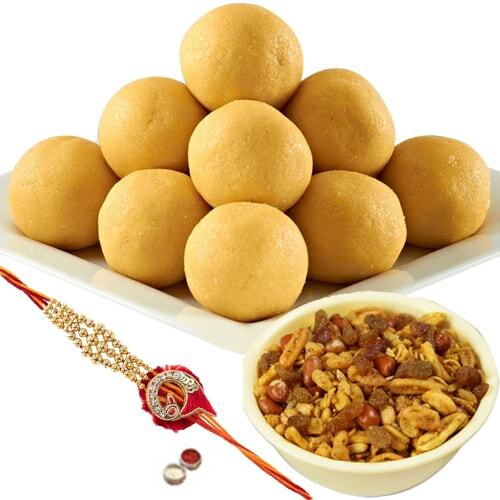 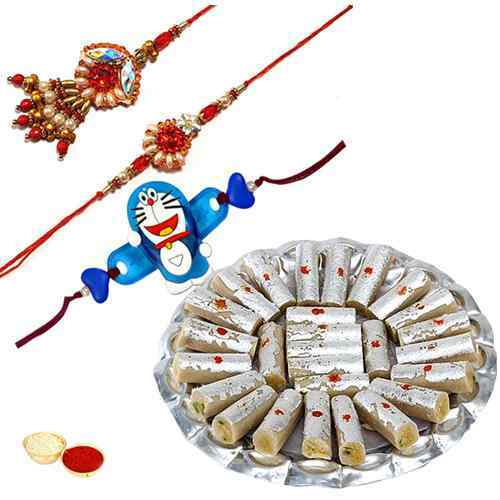 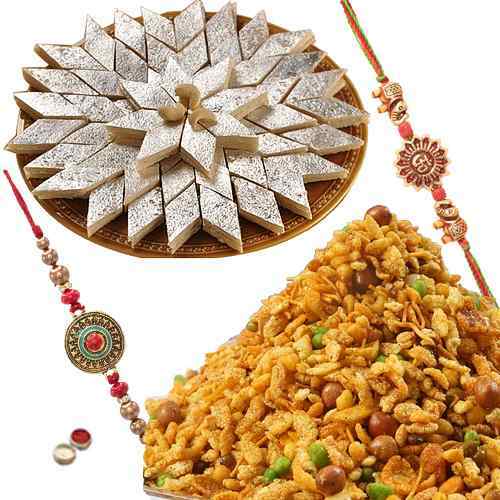 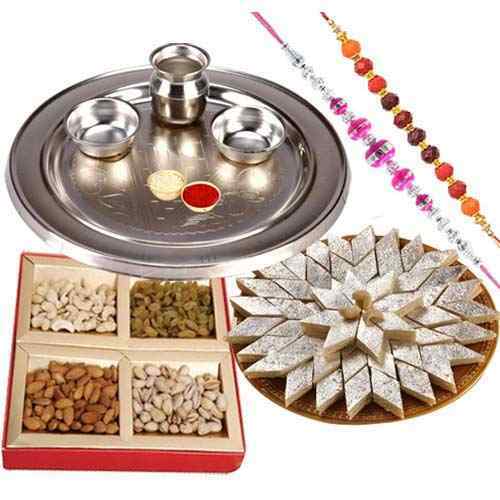 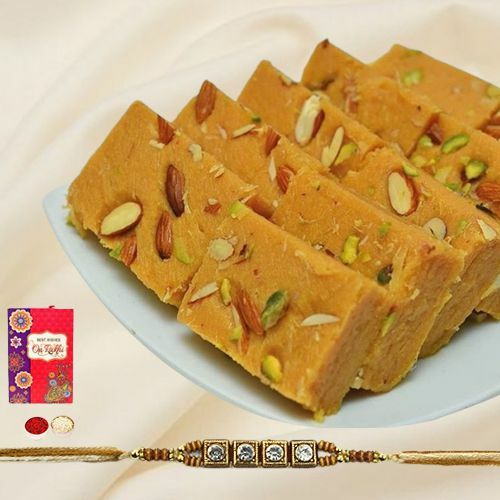 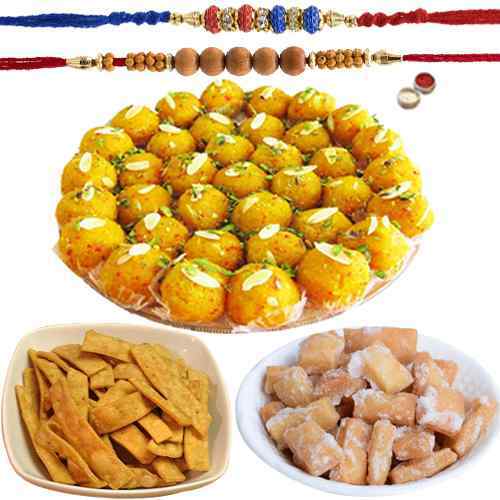 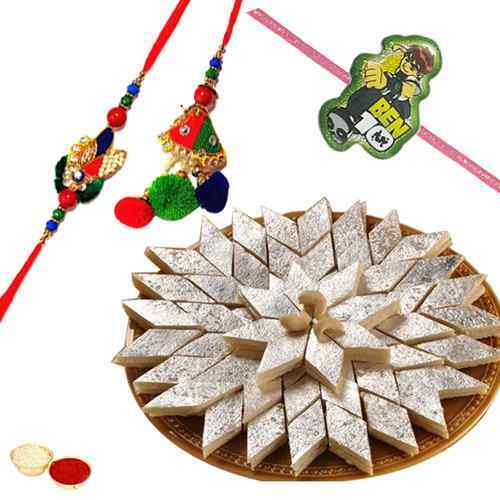 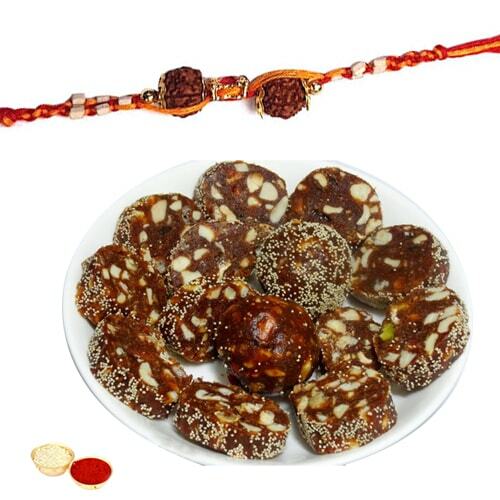 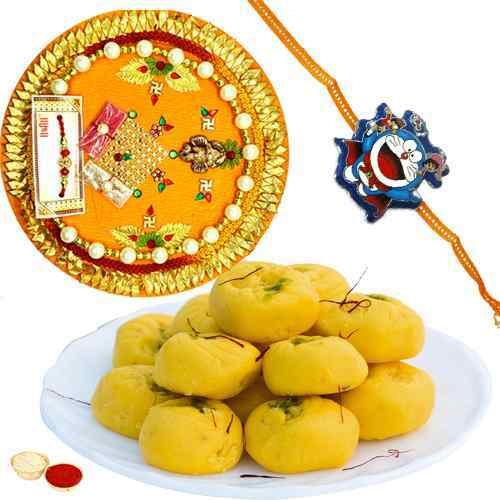 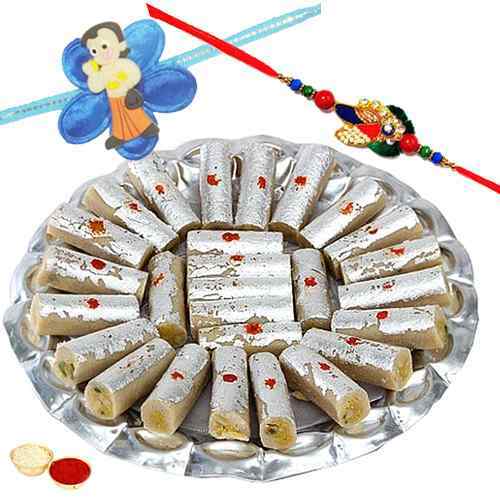 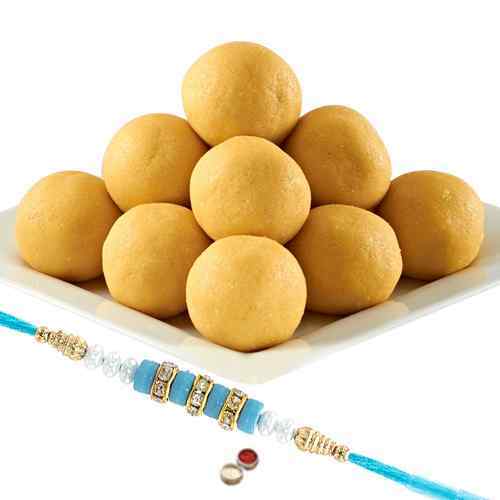 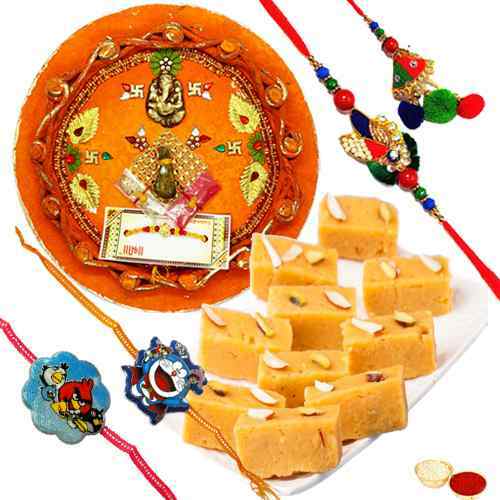 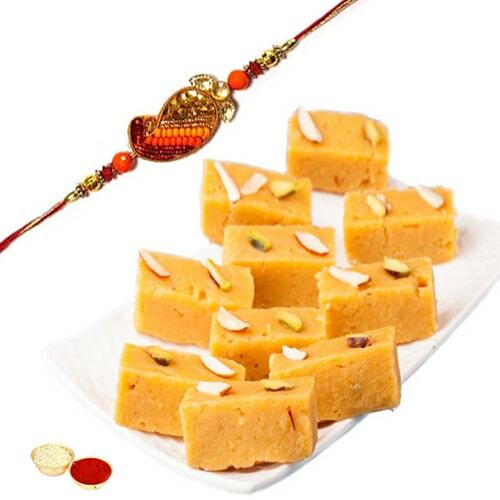 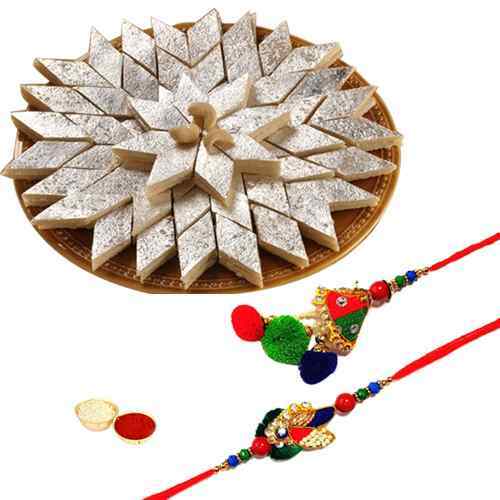 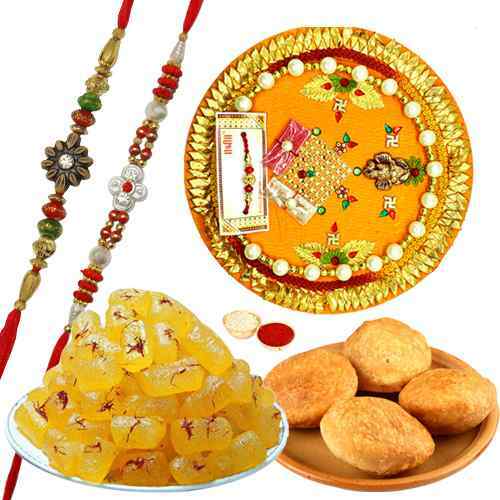 Order online for Rakhi & Sweets Combo pack such as Kaju Katli, Kaju Roll, Soan Papdi, Assorted Sweets, Motichur Laddoo etc along with stylish Rakhi to Send Rakhi N Sweets to U.K for your loving brother. 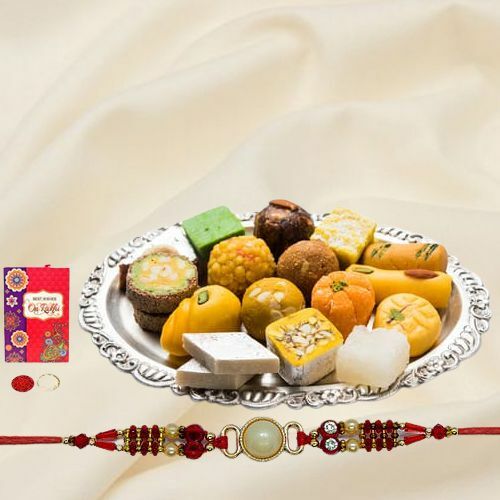 Because, it is Raksha Bandhan & your gifting remains incomplete until you Send Box of delectable Sweets for your loving brother. 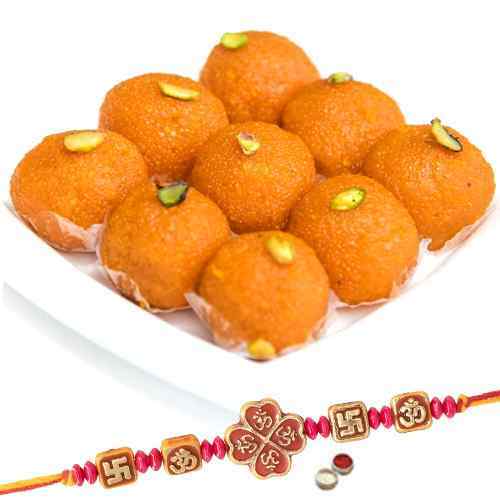 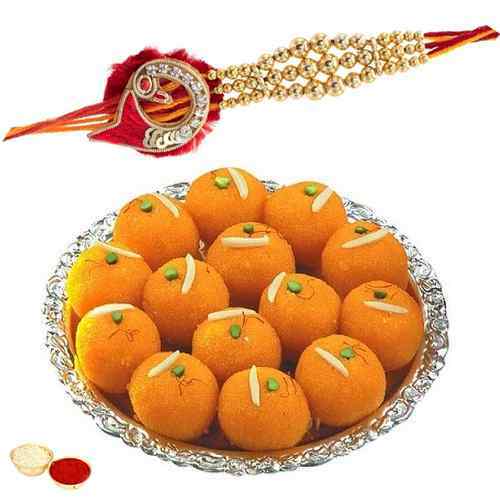 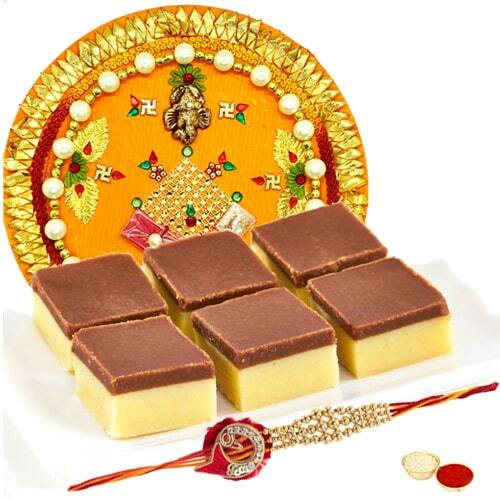 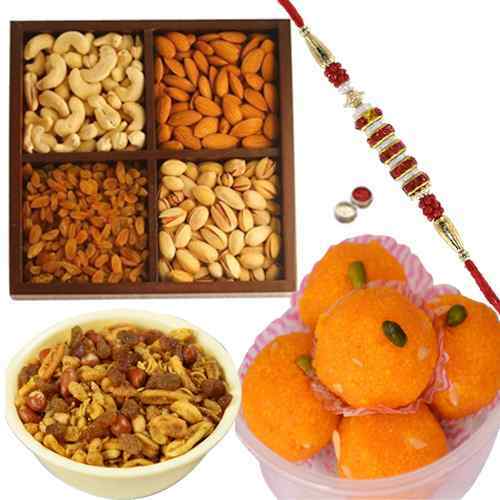 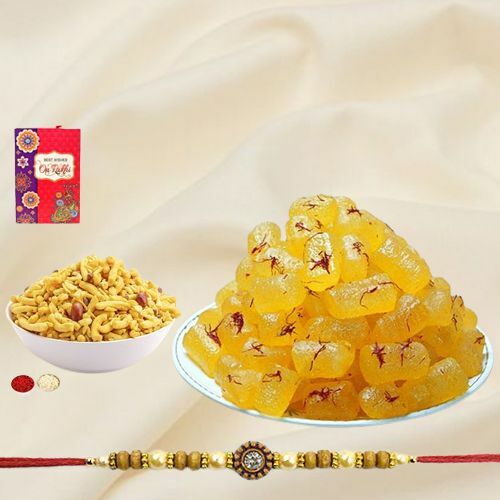 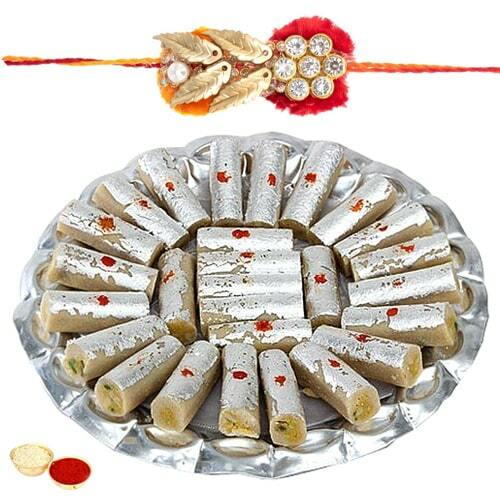 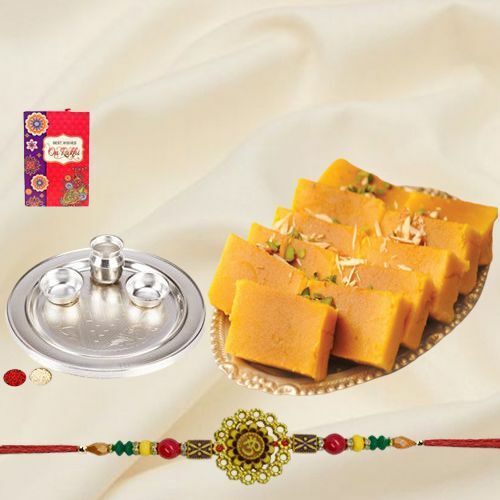 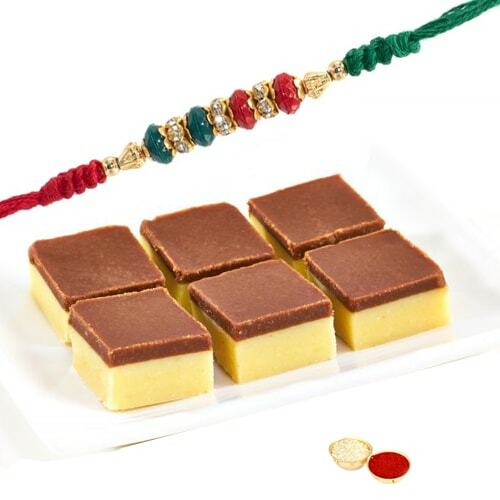 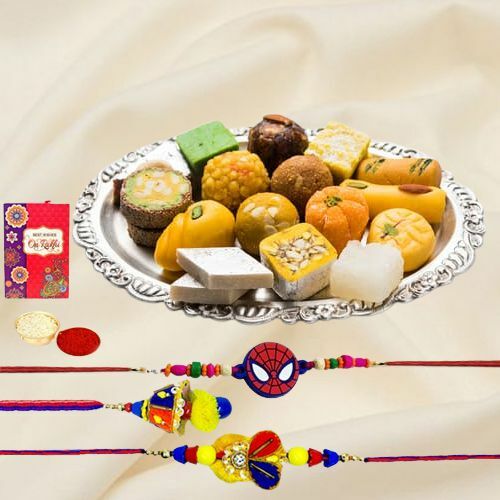 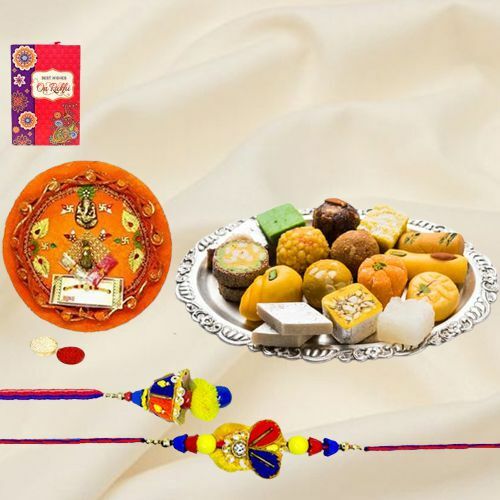 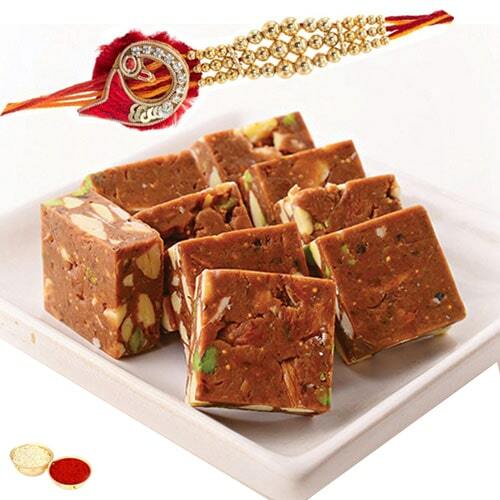 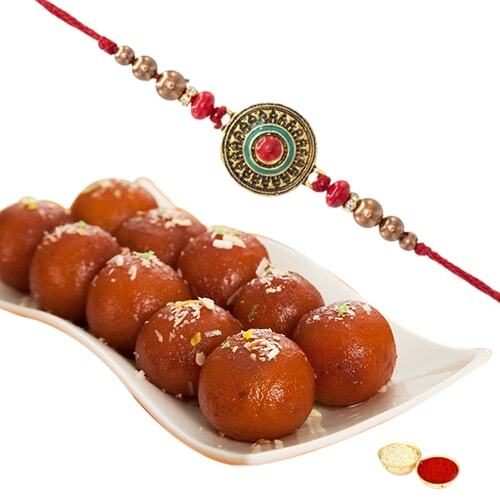 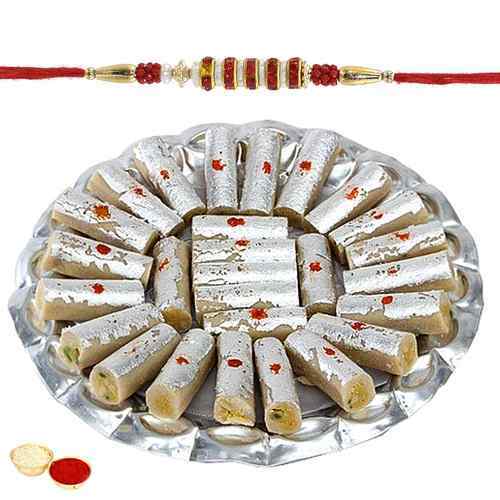 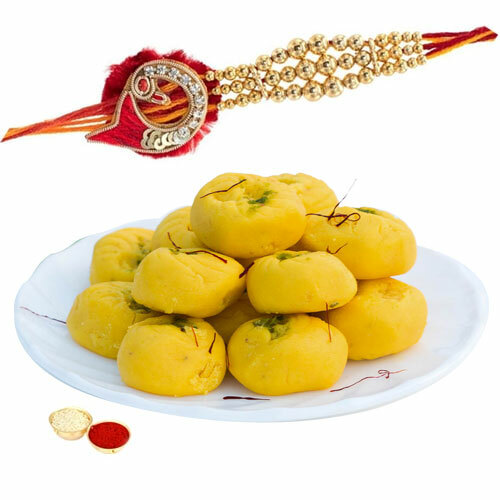 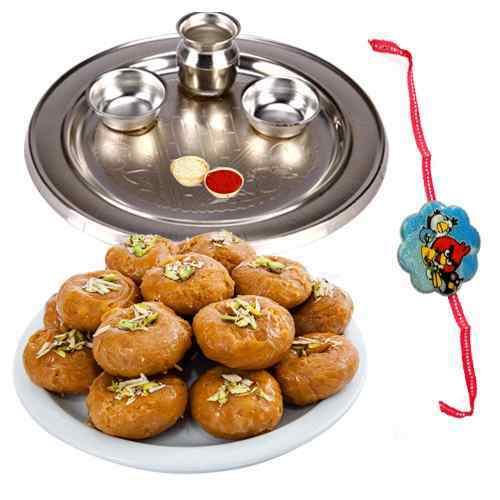 Just log on to our website and choose Combo pack of Rakhi & Sweets & enter the delivery option. 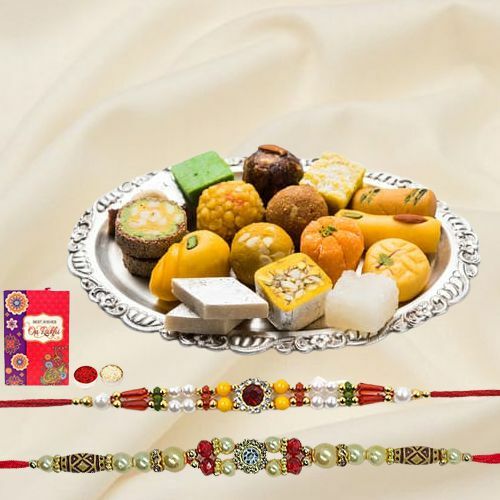 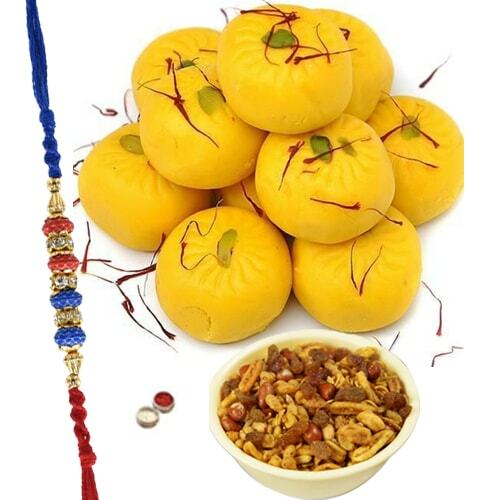 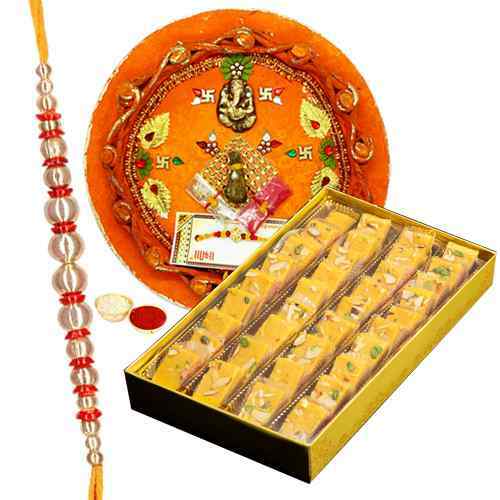 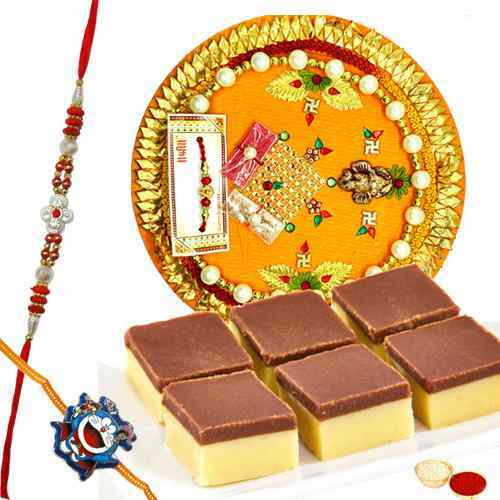 Your Rakhi & Sweets pack will reach your brother on the Same Day or the very Next Day & moreover Shipping Charge is completely free on delivery. 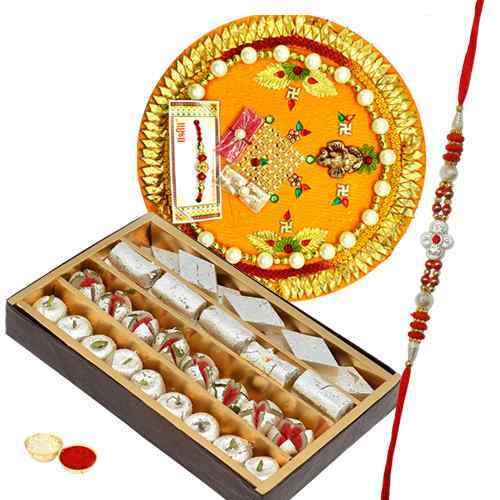 Thus your brother will have to neither pay nor need you to incur any extra cost on delivery.